The New York Times is closing down its Home section, the latest in a series of moves that have been altering the composition of the print edition. Executive editor Dean Baquet told employees in a Friday email that next Thursday's installment will be the section's last. "I've concluded that coverage from the Home section would fit best in other parts of The Times, including Food and Real Estate," wrote Baquet. In addition to its digital initiatives, where much of the growth is concentrated, the Times has been making targeted investments in print while also eliminating parts of the paper that it no longer sees as value propositions. Bloomberg News has set its course to begin a new Canadian news and business channel this summer. It will have "domestic news makers and detail the impact of global news on Canadian business" according to Bloomberg. The channel will be created with the partnership of Channel Zero, a Canadian company that owns CHCH-TV in Hamilton. CHCH may prove an important part of the "local" content for the new business channel. "Canada is a vital market for us," founder and majority owner Michael Bloomberg said in a statement. "It is now one of our fastest-growing markets in the world." The new channel is intended to broadcast non-stop from a studio in Toronto's downtown financial district, and will have bureaus in Ottawa, Calgary, Montreal, Vancouver and Winnipeg. Bloomberg competes with Thomson Reuters in providing news, data and information to business and media clients. "In New Brunswick, two senior editors at the Moncton Times & Transcript are gone, after an investigation into one editor’s acceptance of a trip to 'Larry’s Gulch,' the provincial government’s fishing lodge. Global News anchor Leslie Roberts resigned after an internal investigation following the revelation that he was part-owner of a PR company; the company’s clients had appeared on Global and he had not disclosed his involvement to his employer." The AP reports that three Al-Jazeera journalists have been arrested for illegally flying a drone in Paris Wednesday, after unidentified drones flew over the Eiffel Tower and key Paris landmarks for a second night running. It has further baffled French authorities who are investigating a spate of unidentified flying objects in the Paris skies at a time of high security across the country. The foreign nationals aged 70, 54 and 36 – who work for the Doha-based international broadcaster – were taken into custody Wednesday afternoon after police spotted a drone flying in the Bois de Boulogne woods in western Paris, said Paris prosecutor’s spokeswoman Agnes Thibault-Lecuivre. "Since August 2013, a new calendar has begun for the 137-year-old newspaper: B.B. -- before Bezos, and A.B. -- after Bezos. The Amazon CEO has injected new energy into the editorial staff. Instead of simply bringing in cash to allow the staff to continue the status quo, he plunged the Post into a period of cultural change, determined that the paper would reinvent itself and escape the confines of the printed page. 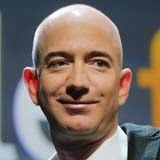 Bezos wants the paper's editors and journalists to learn to think big. What does a digital newspaper have to look like in 10 or 20 years to keep millions of readers interested? He has given them time -- and a lot of money - to come up with an answer." "(Victor) Biro is a freelance photojournalist, and one of the last of his kind. After the city’s staff photographers have gone to bed, you’ll find Biro in his truck, listening to police, fire and EMS communications on radio scanners so he can chase the news as it happens. "People call them stringers, nightcrawlers (as in Jake Gyllenhasal's movie of the same name) , ambulance chasers and vultures. They used to be common; now, there are only a handful of people doing this in the GTA. But when the Toronto Police Service switches from its old analogue radio system to fully encrypted digital communications this spring, people like Biro may very well become a thing of the past." *Weege, whose real name was Arthur Fellig, cruised the streets of New York in the 1930s and 1940s with his Speed Graphic taking some memorable crime scene photos of the era. He was arguably the first "nightcrawler." 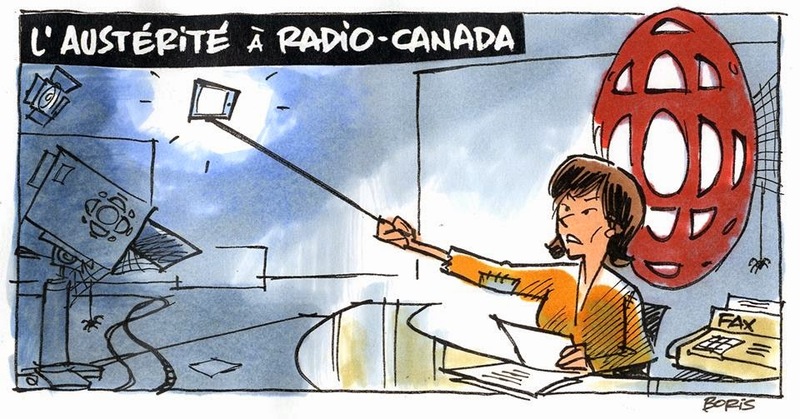 Posted by "Amis de Radio-Canada"
That's a "selfie" stick she is holding! Great obituary of Simma Holt in the Globe! In the days when the few women in the newspaper business were almost always relegated to the fashion and family pages, Ms. Holt was a pioneer, revelling in the heretofore “man’s world” of crime and punishment. Along the way, three convicted murderers who were sentenced to hang were granted reprieves after she threw herself into reporting on their cases. One of those reprieves arrived just 11 hours before the man’s scheduled rendezvous with the hangman. "The abrupt end of the Sun News Network — its owners pulled the plug on the all-news channel without warning earlier this month — sparked considerable commentary, with many lamenting the lost jobs, others examining the quality of the content, and some celebrating the end of a service that was controversial from the moment it launched. "Largely left unsaid, however, is that its demise signals the beginning of a new era in Canadian broadcasting in which services are allowed to fail rather than being propped up through regulatory or government support. "The Canadian broadcasting system has long been shielded from market forces through regulations that offer both financial compensation and marketplace protection. Those rules have been a boon to broadcasters, who have seen some services succeed with limited viewers and original content." "On Feb. 5, the Toronto Star published a Page 1 article with the headline 'A wonder drug’s dark side' beneath a 'Star investigation' label.
" The article focused on several young women who had grown sick sometime after taking the anti-papillomavirus vaccine Gardasil.
" The story included the caveat that none of these instances had been conclusively linked to the vaccine.
" However, the weight of the photographs, video, headlines and anecdotes led many readers to conclude the Star believed its investigation had uncovered a direct connection between a large variety of ailments and the vaccine. "Some doctors and public health officials were troubled by the story treatment and by the lack of reference to the many studies which conclude the risks of Gardasil are low. . . .
"All vaccines, including Gardasil, have side-effects. The better known they are, the more safely the vaccine can be deployed. "This is what the article sought to achieve as well as to note that acknowledged risks are not always properly communicated. "For that reason, the Gardasil story package of Feb. 5 will be removed from our website." The National Post reports that in the face of new technology and budget cuts, the CBC is mulling the sale of its downtown Toronto headquarters, a move network officials say may shake staff morale and its public image. “I understand the attachment that people make to those kinds of symbols,” said Fred Mattocks, general manager of media operations and technology for CBC English services. The public broadcaster has hired a consultant to help decide whether it should sell the one-million square-foot building. Mr. Mattocks says it only needs about a third of that space and is looking for a buyer who might be interested in keeping it on as a tenant. It’s a cost-cutting measure being followed by other media organizations — including Postmedia Network Inc., which owns the National Post. “I don’t think any media company is very good at [real estate] and we’re not, for sure,” Mr. Mattocks said. Over more prosperous decades, the CBC has acquired a huge real estate portfolio, valued at about $1-billion. "Hours before the lights went out for the final time last Friday at the Sun News Network, one man was making an 11th-hour bid to keep the struggling TV station from going dark. "Leonard Asper, whose family built, and later lost, the Canwest Global Communications Corp. empire, had scrambled a last-ditch effort to buy the conservative all-news channel last week, sources confirmed to the Financial Post. That was less than 72 hours before its owner, Quebecor Media, officially pulled the plug on Sun Media Corp. on Feb. 13, putting its roughly 200 employees out of work. "Mr. Asper, now the CEO of specialty channel operator Anthem Media Group Inc. which controls the Fight Network, the Fantasy Sports Network and the Pursuit Channel, was given access to a data room to review confidential information about Sun TV’s financial condition, after directly appealing to Pierre Dion, president and CEO of Quebecor. He spent time poring over Sun TV’s books on Feb. 9 and Feb. 10." Marta Iwanek is this year’s winner of the Tom Hanson Photojournalism Award, presented by The Canadian Journalism Foundation (CJF) and The Canadian Press. The award is named after Tom Hanson, an award-winning photographer for the Canadian Press, who died in 2009 at age 41. The award is open to any Canadian photojournalist who has been in the business less than five years. Prime Minister Stephen Harper says "a lot" of Radio-Canada employees "hate" conservative values, CP's Melanie Marquis reports. Harper says those values that are loathed by many employees of CBC's French-language network are the same ones that he says are supported by a large number of Quebecers. Harper made the comments during a French-language interview with Quebec City radio station FM93, conducted last Friday and aired today. His remarks were described as "petty" by an NDP MP. Harper's comments about Radio-Canada came in response to a question about how he plans to convince Quebecers to vote for his party in the upcoming federal election. He says he doesn't believe that voters in Quebec are predominantly left-leaning. 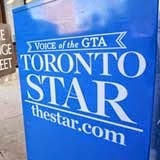 "The Toronto Star, Canada's highest-circulation daily newspaper, has built a reputation for excellent investigative reporting, including justly celebrated exposes of Toronto Mayor Rob Ford. "But now that reputation is in tatters, due to an evidence-free "investigation" of the health risks of the vaccine Gardasil, which immunizes against the dangerous human papillomavirus. The Star's Feb. 5 piece, ominously headlined "A wonder drug's dark side," exploited heart-wrenching family anecdotes of illness and death to undermine a vast library of scientific studies proving the vaccine to be safe. "Worse, the Star responded to an uproar over the article by scientific and medical experts by smearing and demeaning critics -- until the paper's publisher finally acknowledged publicly that the story was wrong: "We failed in this case." A former farming reporter was sentenced Friday for her role in stealing 31 rare Shropshire sheep thought to have a brain disease from an Ontario farm. Suzanne Atkinson, 54, of Warkworth, Ont., is one of four charged in the sheep’s disappearance from Montana Jones' Whole Earth Farm studio near Hastings, Ont., the QMI Agency reported. Farm owner Jones, 56, raw milk advocate Michael Schmidt, 60, and Robert Pinnell, 48, were also charged. The sheep were thought to have scrapie, a brain disease in sheep and goats. They were set to be euthanized and tested for the disease. Atkinson pleaded guilty Dec. 15 to one count of transporting or causing to transport an animal under quarantine and was sentenced this week in a Peterborough court. She received a conditional sentence with a year of probation and an order to perform 100 hours community service, CJOJ-FM reported. Atkinson admitted she was part of a group that planned to take the quarantined flock on March 31, 2013, from Jones' farm. Atkinson had been a freelance correspondent for Ontario Farmer magazine for 15 years, but resigned after her guilty plea. "Media fighting for access to Omar Khadr have failed to show a prison-interview ban was politically motivated and violated their constitutional rights, a Federal Court judge has ruled. "In his ruling, Judge Richard Mosley rejected suggestions that authorities worried a sympathetic portrayal of Khadr would fly in the face of government statements branding the former Guantanamo Bay detainee as an unrepentant terrorist. "'I have not ignored the unfortunate history of apparent interference and public statements by government officials since Mr. Khadr’s repatriation,' Mosley said in his decision. "In March 2014, the CBC, Toronto Star, and White Pine Pictures requested an interview with Khadr, who was returned to Canada from Guantanamo in 2012. "Nancy Shore, acting warden at the Bowden Institution in Innisfail, Alta., turned down the request on the grounds that it could jeopardize both Khadr's safety and that of others in the prison. An interview would require an almost complete and disruptive lockdown of the facility, Shore said." Stephen Harper's chief spokesman is leaving the Prime Minister's Office seven months before the official start of the next federal election campaign, a source said Friday. 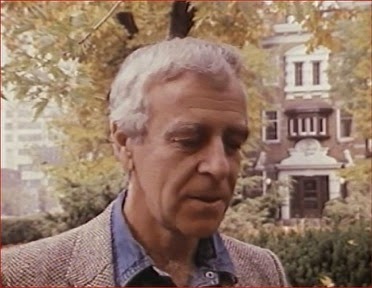 Jason MacDonald, the prime minister's director of communications, took on the job in September 2013, after the previous spokesman, Andrew MacDougall, left. MacDonald had been the director of communications to Aboriginal Affairs Minister Bernard Valcourt. Rob Nicol, vice-president of corporate affairs at Canadian Tire, will take over from MacDonald. MacDonald will join the public relations and lobbying firm Hill+Knowlton. David Carr, the longtime New York Times media columnist, died on Thursday night after collapsing in the newsroom. He was 58. Two Times employees broke the news on Twitter, and the paper reported that he was found shortly before 9 p.m. and rushed to Roosevelt Hospital, where he was pronounced dead. In an email to staffers, Times executive editor Dean Baquet described Carr as "the finest media reporter of his generation, a remarkable and funny man who was one of the leaders of our newsroom." Quebecor Inc's news channel Sun News Network has shut down after searching for a potential suitor for months, Sun Media Corp said on Friday. "Over the past four years, we tried everything we could to achieve sufficient market penetration to generate the profits needed to operate a national news channel," Sun Media Chief Executive Julie Tremblay told Reuters. The network went off the air at 5 a.m. after 46 months on the air. Sun News employs about 200 people. Two Al-Jazeera English journalists were released from an Egyptian prison on Friday, after spending more than a year behind bars on terror-related charges in a case denounced as a sham by rights groups and the international community. The two, Mohammed Fahmy and Baher Mohammed, were freed pending a retrial. The network said by midday that they have been reunited with their families in Cairo. A third co-worker, Australian Peter Greste, was freed two weeks ago and deported to his home in Australia. Sun News Network is about to sign off, permanently. CBC News has learned that the cable news television channel will shut down early Friday. Pioneering sports reporter and fiction author Alison Gordon died early Thursday morning in a Toronto hospital, family confirm. She was 72. 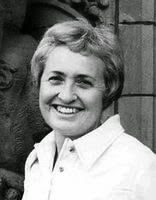 Gordon was assigned to cover the Toronto Blue Jays in 1979, becoming one of the first female sports reporters. For a week, The Toronto Star has been taking criticism over a story detailing health problems experienced by young women after they took the HPV vaccine. Some in the medical community called it alarmist and scientifically-unsound. The publisher, John Cruickshank, now says the paper failed the public and let them down.Cruickshank tells As It Happens host Carol Off that he takes responsibility for the way the story was presented. "We failed in this case. We let down. And it was in the management of the story at the top," he says.Cruickshank says the headline -- "A wonder drug's dark side" -- was wrong. That the front page play for the story was a mistake. And he notes that the piece mentions several times that the paper has no evidence that the anecdotes it presented were caused by the HPV vaccine Gardasil.He says he understands why readers would wrongly take away from the piece that the drug is dangerous. Veteran CBS News correspondent Bob Simon, whose decades-long career included covering major overseas conflicts and surviving Iraqi prison, was killed in a car accident on Wednesday in New York City, police and CBS said, Reuters reports. He was 73. A longtime member of the network's "60 Minutes" on-air team, Simon was a passenger in a hired car that slammed into a Mercedez Benz and then hit metal lane barriers on Manhattan's West Side around 6:45 p.m. ET, New York City police said. Simon suffered injuries to his head and torso and was pronounced dead on arrival at Saint Luke's Roosevelt Hospital, police said. The AP's David Bauder reports that NBC is suspending Brian Williams as Nightly News anchor and managing editor for six months without pay for misleading the public about his experiences covering the Iraq War. NBC chief executive Steve Burke said Tuesday that Williams's actions were inexcusable and jeopardized the trust he has built up with viewers during his decade as the network's lead anchor. But he said Williams deserved a second chance. Williams apologized last week for saying he was in a helicopter that was hit by a grenade while covering the Iraq War in 2003. Instead, he was in a group of helicopters and another was hit, and some veterans involved in the mission called him out on it. NBC News President Deborah Turness said its probe into Williams's statements is continuing. "The public has a right to know as much as possible about Omar Khadr before he is released from prison, especially since the federal government has repeatedly branded him an unrepentant terrorist, the Federal Court heard Monday. "In urging the court to force prison authorities to allow media to interview the former Guantanamo Bay inmate, their lawyer said the government itself had put the issue on the public stage. “'The Canadian public has a right to know and understand,' media lawyer John Phillips told Judge Richard Mosley.
" a bomb that had been ticking for a while" - - Maureen Dowd on Brian Williams. "NBC executives were warned a year ago that Brian Williams was constantly inflating his biography. They were flummoxed over why the leading network anchor felt that he needed Hemingwayesque, bullets-whizzing-by flourishes to puff himself up, sometimes to the point where it was a joke in the news division. "But the caustic media big shots who once roamed the land were gone, and “there was no one around to pull his chain when he got too over-the-top,” as one NBC News reporter put it." "Climate scientist Andrew Weaver has won a closely watched defamation lawsuit against the National Post, after a B.C. Supreme Court found the newspaper was 'careless or indifferent to the accuracy of the facts' in a series of articles published in 2009 and 2010. "Justice Emily Burke awarded Weaver, a former University of Victoria professor and current B.C. Green Party MLA, $50,000 in damages. She also ordered the Post to remove the offending articles from its websites and electronic databases, as well as publish 'a complete retraction' of the defamatory statements, 'in a form agreed to by' Weaver. "However, in the first court decision in Canada to address the issue of whether a newspaper can be liable for reader postings on its website, she sided with the Post, which had argued it was not the publisher of the comments, and had removed them." The Globe and Mail reports that Postmedia Network Canada Corp. has cut the jobs of several national writers and offered voluntary buyouts to newsroom staff at the Montreal Gazette, Ottawa Citizen and Windsor Star. Employees learned of the latest round of cost-cutting on Thursday, as Postmedia continues to slash spending in the face of diminishing advertising revenue and high costs to service a long-term debt that stands at $483.5-million. Last week, NBC Nightly News filmed Mr. Williams taking a soldier to a New York Rangers game. The public address announcer at the game explained to the crowd that “U.S. Army Command Sergeant Major Tim Terpak was responsible for the safety of Brian Williams and his NBC News team after their Chinook helicopter was hit and crippled by enemy fire” during the invasion of Iraq. Mr. Terpak received a standing ovation, and, on Facebook, where NBC posted a video of the story, Mr. Williams was also praised. But one commenter cast doubt on the story, which Mr. Williams also told in vivid and specific detail to David Letterman in 2013. AP reports that Al Jazeera English reporter Peter Greste left Egypt on Sunday after the president approved his deportation, but there’s no word on jailed colleagues Egyptian-Canadian Mohamed Fahmy and Egyptian Baher Mohamed. Greste was released after more than a year behind bars in a case that was widely condemned by rights groups. An Egyptian prison official and the nation’s official news agency said Greste was released following a presidential “approval.” The official and an Interior Ministry statement said his release was an implementation of the new deportation law passed last year.